Scoliosis Nutrition; INFLAM-FX by Cyrene Labs is a Potent Anti-inflammatory formula, Now Available! 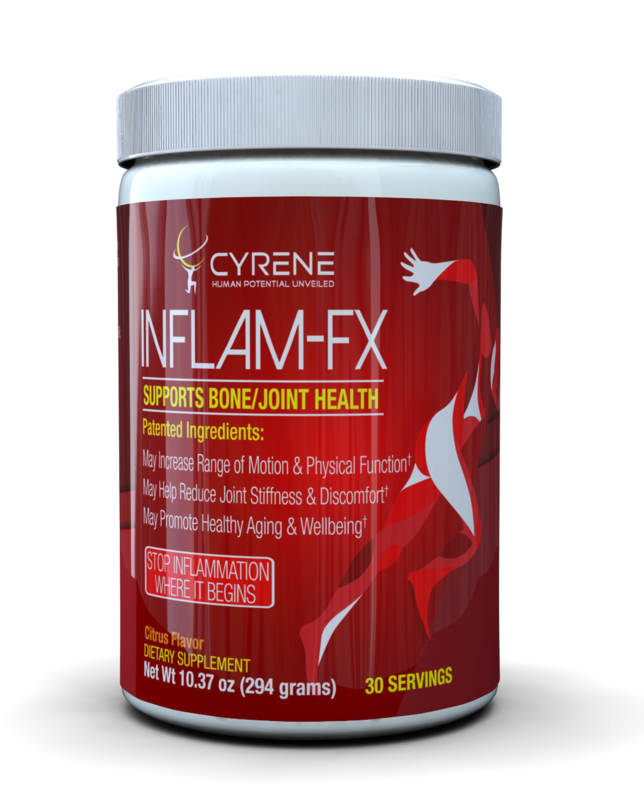 Home / Scoliosis Nutrition; INFLAM-FX by Cyrene Labs is a Potent Anti-inflammatory formula, Now Available! Turn off the Cytokine Flow to stop scoliosis progression and degeneration with scoliosis nutrition. Research is pointing towards the immune response as the mechanism responsible for trophic (tissue) changes associated with scoliosis curvature progression. Through the process of inflammation, cytokines (proteins that are released when tissues are damaged) mediate a pro-inflammatory response that can be switched on without limitation, which ultimately leads to fatty infiltration of the concavity musculature in particular, through an immune muscle cross talk, and progressive bone and joint deformity via an immune bone cross talk. The pro inflammatory cytokines also have an effect on the non-endcoded nuclear DNA responsible for switching genes on and off. We know this as the epigenetic response. Epigenetics factors have been shown to be controllable through nutritional changes. Below is a list of nutrients we recommend for our patients. Univestin: A combination of botanicals clinically shown to reduce joint pain but more importantly for scoliosis patients is the mechanism in which it works. These botanicals have been shown to reduce the influence of pro-inflammatory cytokines. Univestin’s patented multi-channel approach combines flavonoid-enriched plant extracts that have been clinically shown to balance activity across multiple “prongs” of the reaction cascade, soothing joint discomfort and relieving stiffness. * Scoliosis progression has been shown to involve these same metabolic pathways and clinically should be managed in a similar way. Nutrition has been shown to be an effective way to modify cytokines levels and thereby effectively blunting the downstream effect which ultimately could lead to progression and or degeneration. Specifically Tumeric and Grape Seed Extract have been shown to reduce pro inflammatory cytokines when given in clinically significant amounts. Quercetin Dihydrate is a Flavonoid polyphenol which is most beneficial for down-regulating inflammatory cytokines or suppressing inflammatory pathways and functions. Quercetin is considered the most diffuse nature-derived flavonol there is, showing strong effects on immunity and inflammation caused by leukocytes and other intracellular signals. Scoliosis progression is reliant on these same pathways. Grape Seed Extract has been shown to improve bone health in animal studies, as well as being a powerful antioxidant. Changes of Selenium, Copper, and Zinc Content in Hair and Serum of Patients with Idiopathic Scoliosis has also been reported. *these statements have not been evaluated by the Food and Drug Administration, furthermore this product is not meant do diagnose or treat any condition and should not be taken without the consultation with your physician. This entry was posted in Nutrition, Scoliosis on February 21, 2018 by Marc Lamantia D.C..